Our specialists are proud to offer you their expertise in measuring any type of window. With a wealth of experience we are here to provide you with finding the perfect window treatment solution. Call us on 0845 533 1023. 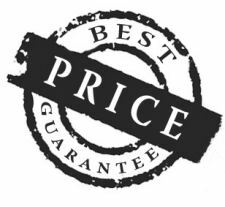 Quality, Choice & Better Prices! Manufactured to highest standards using the latest technology, we can offer the best prices too.. Seen it cheaper? We can beat that price, so give us a call on 0845 533 1023 for a better deal today. Blinds4UK is a full member of the British Blind & Shutter Association. The BBSA is the only national trade association for companies that manufacture, supply and install interior and exterior blinds. The BBSA is your assurance that members provide high standards of product, service and fair trading throughout the trade. When buying blinds always ensure your retailer is a BBSA member! Mandatory requirements of EN13120 for Cord and Chain lengths on made to measure blinds. Orders taken are accepted on the basis that the installation height is not known and therefore cord & chain lengths will be manufactured on the lengths published on the attached PDF (see below). Due to the inconsistencies of various computer monitors, the colours displayed on your screen may not depict an accurate reproduction of the actual swatch colour. We colour correct each scan as accurately as possible but we cannot warrant they are accurate. Once you have received your sample keep in mind that all samples may still have minimal colour variations due to variants in light source, variants between dye lots, variants in colour for natural resource products etc. If you are in any doubt as to the precise nature of the product or fabric you may wish to order you are advised to order a free sample. In addition to the above considerations we would suggest that you order all of your blinds of a given colour at the same time. Deluxe headrail 40mm wide x 40mm deep. 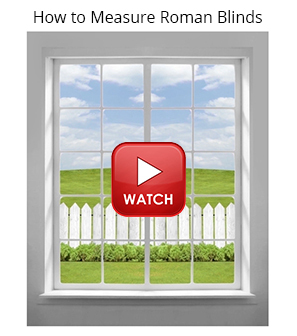 Measuring for your new roman blinds couldn't be simpler. It's an easy way to save lots of money and takes just minutes; you'll wish you'd done it sooner! All you have to do is follow our easy, step-by-step guides below. Our conversion calculator will convert your measurements from inches into centimetres. Enter the measurements for the width and drop to the nearest 1/8 of an inch and then press convert.